This is beautiful. It looks like good quality fabric and it is just as described in the website. I bought cushion covers in the same basic color and my table looks great! 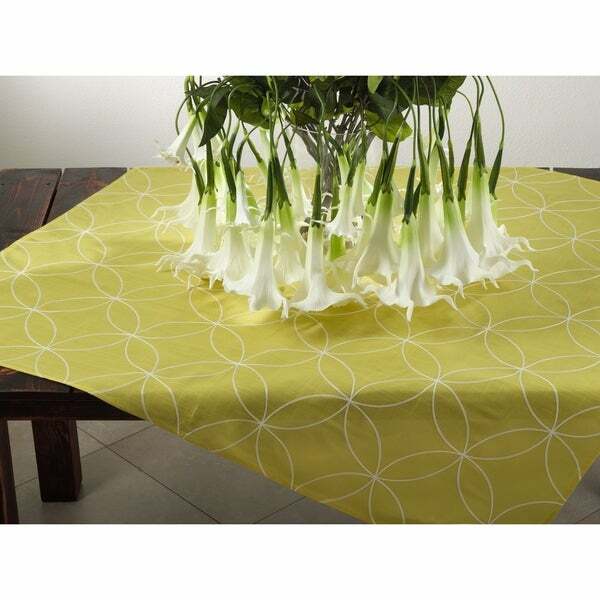 Dress your table in contemporary style with Saro Lifestyle's stitched tile design toppers. These linens are perfect for everyday entertaining. Nice color...very close to website.The material is coarser than I would like it normally.Fits nicely on my square table...with some table mats set up looks good as well. This tablecloth arrived on time with the other items on my order. The quality was very good. It is brightly colored as shown online. This item is easy care, machine wash and line dry. I own 2 of these. A good choice. Perfect color match to my decor.